Descriptions and more information from our exhibitors can be found below. Please take the time to review the information. Automated, accurate UO measurements, direct to EHR. Use existing Foley catheters and drainage bag systems. Affordable and simple to use! Critical Care and OR models. Available now for no-charge trial at interested facilities. Includes body temperature monitor as add-on module. Elevate UO to the status of other critical vital signs by simply hanging the bag and recording. Patented technology for hourly UO accuracy, at high and low volumes! AlertWatch markets two integrated real-time patient monitoring solutions: AlertWatch:OR, and AlertWatch:OB. AlertWatch:OR is focused on improving intraoperative quality and safety. The solution integrates and analyzes over 200 data elements, and displays all of this information on an at-a-glance view of the patient. A recent 6-year study showed that the use of AlertWatch:OR, when compared to non use, helped drive a one day reduction in length of stay, and a $3,603 reduction in hospital charges. AlertWatch:OB is the world’s first electronic maternal monitoring and alerting system. The solution provides a robust set of functionality focused on reducing maternal mortality. AlertWatch:OB is pending FDA 510(k) clearance. Since 1937, breakthrough ideas have fueled Ambu’s work bringing efficient healthcare solutions to life. This is what we create within our fields of excellence – Critical Care, Anesthesia, Patient Monitoring & Diagnostics, and Emergency Care. Millions of patients and healthcare professionals worldwide depend on the functionality and performance of Ambu products. This year Ambu is highlighting our latest innovations, the Ambu aScope™ Single-use Bronchoscopes and VivaSight™ Double Lumen/Single Lumen Tubes with integrated camera for continuous visualization. Stop by Ambu’s booth for a demonstration. ASA® is the leading anesthesiology professional society with more than 52,000 members globally. Since its founding in 1905, the Society raises and maintains the standard of the practice of anesthesiology through education, advocacy and quality improvement by focusing on patient care and safety. ASA is dedicated to helping physician anesthesiologists and their care teams provide the highest quality of care in a patient-centered, physician led environment. 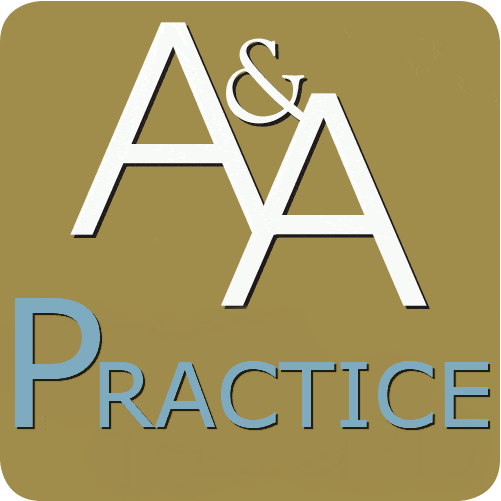 Anesthesia Business Consultants, LLC provides billing & practice management services for anesthesia and pain management providers, featuring F1RSTClient, our premier client portal that allows secure and seamless access to your practice’s data along with F1RSTAnalytics, our dashboard system that provides “Insight at Your Fingertips.” The heart of our offerings is ABC’s proprietary practice management software, F1RSTAnesthesia. Our solutions provide accurate, prompt and complete billing and revenue cycle management. Blink Device Company developed and manufactures the TwitchView System, used for the quantitative monitoring of neuromuscular blockade by means of electromyography (EMG). The system utilizes an integrated electrode array and advanced algorithms for ease-of-use and reliability. 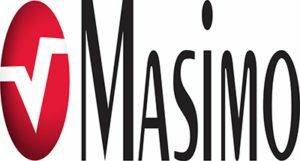 Masimo is a global medical technology company that develops and manufactures innovative noninvasive monitoring technologies, including medical devices and a wide array of sensors that may enable earlier detection and treatment of potentially life-threatening conditions. A key medical technology innovator, Masimo is responsible for the invention of award-winning noninvasive technologies that are revolutionizing patient monitoring, including Masimo SET® pulse oximetry, Masimo rainbow® noninvasive and continuous hemoglobin (SpHb®), acoustic respiration rate (RRa ®), Masimo Patient SafetyNet™, SedLine® (EEG-based) Brain Function Monitors, and capnography monitors. For more than a century, Merck has been bringing forward medicines and vaccines for many of the world’s most challenging diseases. Today, Merck continues be at the forefront of research to deliver innovative health solutions and advance the prevention and treatment of diseases that threaten people and animals around the world. Pharmatech LLC offers state of the art health care innovations for wound care and pain management. We work with Doctors and other caregivers and medical professionals to provide quality care. Respiratory Motion, Inc. has developed the first and only patient minute ventilation monitor providing real-time, continuous, non-invasive monitoring for non-intubated patients. ExSpironTM provides Clinicians a superior solution for monitoring ventilation status, including life threatening hypoventilation. ExSpiron is a technology that detects hypoventilation early than existing technologies including SpO2 and EtCO2. Accuro® by RIVANNA® is an easy-to-use spinal navigation device that improves the safety, speed, and efficiency of epidural and spinal anesthesia. Senzime develops unique patient-oriented monitoring systems. The portfolio of technologies includes bedside systems that enable automated and continuous monitoring of life-critical substances such as glucose and lactate in both blood and tissues, as well as systems to monitor patients’ neuromuscular function perioperatively and in the intensive care medicine setting. The TetraGraph monitor stimulates, measures, analyzes and displays muscle function in surgical patients receiving neuromuscular blocking agents (NMBAs). The solutions are designed to ensure maximum patient benefit, reduce complications associated with surgery and anesthesia, and decrease health care costs. Onzurf Probe is based on the microdialysis technique and has a unique attachment site, which allows the probe to be easily placed on the surface of an organ without penetrating the tissue and causing unnecessary stress to the organ. For 72 years the PostGraduate Assembly in Anesthesiology (PGA) has served the continuing medical education needs of healthcare professionals around the world who are dedicated to the practice of anesthesiology in all its forms. This diverse group includes anesthesiologists and intensivists in clinical practice and academia, physicians and PhDs engaged in research, anesthesia residents and fellows, intensive care fellows, medical students, and individuals in the allied health professions. Each year, thousands of PGA attendees take advantage of stimulating CME programs and networking opportunities in one of the most exciting cities in the world. Quicktrach II with Cuff: One-Step Cricothyrotomy procedure, the quickest & simplest without scalper & dilators. Endoscopy Mask: Allows simultaneous ventilation & endoscopy of the patient to increase patient comfort & working quality. S-Guide: excellent tool for Video Laryngoscopy, malleable Stylet & Introducer 2-in-1 combined, with Oxygenation Channel & soft tip.